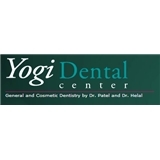 Yogi Dental Center (Denville) - Book Appointment Online! Yogi Dental Center and Smile Care of Denville are dental practices devoted to restoring and enhancing the natural beauty of your smile using conservative, state-of-the-art procedures that will result in beautiful, long lasting smiles! Your whole family will benefit from our preventive care dentistry services which include » Periodontal Gum Disease Treatment • Dentures & Partial Dentures • Root Canals • Invisalign Braces • Dental Implants. Preventive dental care is the foundation of having a lifetime of good dental health. Our preventative services include » Teeth Cleaning & Cavity Prevention • Dental Exams • Dental X-Rays • Fluoride Treatments • Oral Cancer Screening. We thank you for allowing us to take care of your dental needs and look forward to serving you. The hygienist did a good job of cleaning the teeth. However I was not fully satisfied with the doctors diagnosis and treatment plan as it appeared to be very commercially oriented.